Pentecost 6 Sermon: "The Problem of Weeds"
If you think about it, Jesus has some rather strange farming habits. Last week he tells us a parable about a reckless sower who scatters his seeds everywhere – hard-packed turf, rocky soil, weedy dirt, good topsoil – it doesn’t matter. Jesus treats the proclamation of his merciful, gracious word of forgiveness the same way too: spreading it with abundant, joyous abandon. This week Jesus’ parable starts off the same way: the kingdom of heaven – in other words, the rule and reign of heaven, the gracious action of God in the world to save us through Jesus crucified – that kingdom of heaven; is compared to a man who sowed good seed in his field. But of course, Farmer Jesus has the whole field in view here. And though his farming methods may seem strange and backwards to us his gracious rule and reign, the kingdom of God in human flesh, works among us precisely by such strange and backwards methods: his incarnation, his humble life, his more humble death. So, before we get too far ahead of ourselves, stop and think: what’s this parable all about? And don’t say: “Duh, pastor, Jesus gives us the explanation. Just read that.” True enough. But what’s Jesus teaching and declaring to us? How would you summarize this parable for someone else? What’s the parable primarily about: judgment or joy? God’s justice or mercy? Now, before you jump up and raise your hands, be careful. Think about your answer to that last one. And while you’re thinking about that question, let’s hear the parable again. “The kingdom of heaven may be compared to a man who sowed good seed in his field, but while his men were sleeping, his enemy came and sowed weeds among the wheat and went away. So when the plants came up and bore grain, then the weeds appeared also. Now, the sower of the good seed is the Son of Man, Jesus. The field is the world or literally the cosmos. The good seed is the sons of the kingdom – God’s children, heirs of Christ, who like Paul says in Romans 8 are adopted by grace and receive the Holy Spirit. The weeds are the sons of the evil one. And the enemy who sowed the weeds is the devil: he who was thrown down out of heaven and he who throws accusations and sin in our face. In this parable, the good seed are doing just fine. It’s sown by the Son of Man and grows automatically. Faith and the fruits of faith follow wherever Jesus sows his Word. This problem of the weeds is made all the more difficult by the fact that the weeds don’t have neon signs flashing: “Open for business!” They don’t stick out like a patch of dandelions on a perfectly manicured putting green. In fact, Jesus says the weeds look identical to the wheat until the harvest. Weeds and wheat are only known by their fruit. But that’s not what’s on the mind of the servants in Jesus’ parable. That’s why we join Paul and all creation in groaning with expectation for the revealing of the sons of God. We groan as we see a world full of weeds; we groan in anguish at the abortionist’s instruments; we groan in sorrow when planes are shot out of the sky for no good reason; we groan in frustration at the persecution of our brothers and sisters in Christ; we groan at injustice and inhumanity spoiling God’s creation. And groan we must. Truth be told, there’s a weed patch as deep as the grave in each of us, a weed patch is full of the hypocrisy of sin. 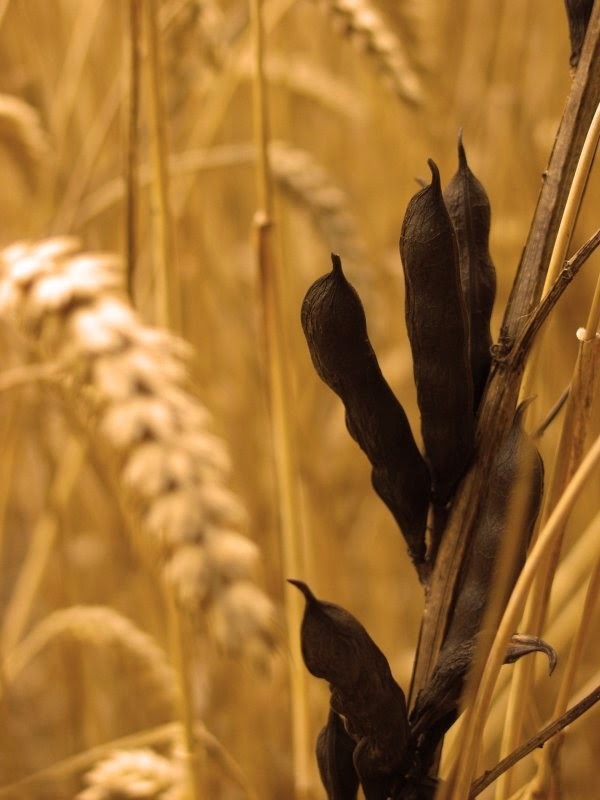 It’s not just the weeds that look like wheat. We, God’s good seed, have a rather nasty habit of thinking, doing, and saying weed-like things. Sin wrecks everything. The servants said to him, ‘Then do you want us to go and gather them?’ That’s us alright. Impatient. Call in the weed wackers. Root em up. Pull em out. Exterminate. Like the disciples we want to call down fire. We want judgment. Thankfully we’re not the ones in charge of the field, otherwise there would be nothing left, not a single living plant left standing, we included. Jesus’ words are shocking. Let both grow together. Let it be. Permit it. Suffer it. Jesus reveals God’s very nature. Where we would call down judgment, Jesus calls for patience; long suffering is the word. The Lord is slow to anger and abounding in steadfast love. That’s Jesus’ answer to the problem of the weeds: “Let it be.” The Greek word is aphete and in many parts of the New Testament this word has another use. To release. To let go. To forgive. That’s right. Jesus’ answer to the problem of the weeds is forgiveness. And this really is the only satisfying solution to the problem of evil. How does God deal with all the evil and weeds in the world? How does God deal with all the weeds and sin in man? In us? God made him who knew no sin to become sin for us. Jesus became the weed for us. Jesus took all the seeds sown by the evil one and planted them into his body on the cross. Jesus took all your weeds, all your sin, and your death and he died for it. Jesus died for you, to make you his precious wheat, God’s own good seed, sown by Jesus and sown into Jesus, planted in his wounds. For there on the cross God poured out both justice and mercy. The cross is both judgment and joy. Judgment of your sin. And joy because Jesus was judged in your place. Above all, this is a parable of God’s patience. Yes, there’s judgment over sin. Jesus’ parable is a warning as well. The world will be set right. Indeed, all is right in the cross of Christ. Fear not, then. The field of the world is his. 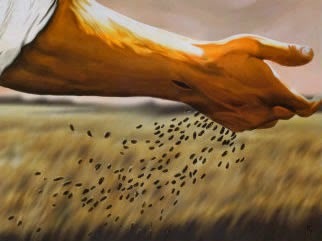 Today the Lord of the harvest takes the seed of his word and spreads it to you his good seed. He takes the grain and grape and gives you his body and blood to eat and drink. Jesus takes the first fruits of his death and resurrection and washes you with them, feeds you with them, and forgives you all your sin. No more weeds. You are the Lord’s good seed. And he will guard you until the harvest as we wait eagerly for adoption as sons, the redemption of our bodies. Pentecost 5 Sermon: "Parable of the Sower"
The Sower went out to sow. Obviously, Jesus is giving us something more than an agricultural lesson. He’s teaching in parables. 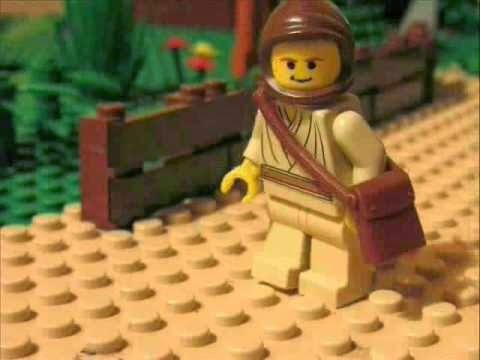 As the cliché goes, a parable is an earthly story with a heavenly meaning. But that’s way too sappy, not to mention a half-truth and unhelpful. Parables are simply stories. Metaphor. Allegory. Jesus uses these stories to communicate many things about who He is and what He came to do - especially and most importantly – his death and resurrection for you and for the world. If you’re reading the parable without that key - the crucified and risen Christ – then you better go about re-reading it again. So maybe it’s just best that we say parables are stories – earthly and heavenly. I think it’s safe to say all of Jesus’ parables are surprising stories. There’s always a twist or an unexpected turn of events. Why? Because that’s the nature of the Gospel. That Christ gives outrageous forgiveness for us undeserving sinners. That God justifies the ungodly. That the Father throws a party for his lost son. That the shepherd leaves the 99 to seek the 1. 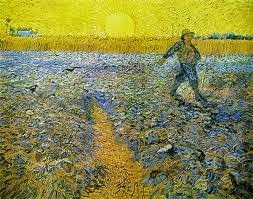 That the sower is a reckless spend-thrift when it comes to sowing his grace and mercy. Notice Jesus points to our ears, not our eyes. The eyes of faith are your ears, ears that are attentive to the voice of your Good Shepherd and not the eye-catching glamor of the world. Thankfully, Jesus guides us and his disciples to the trailhead of this parable, like a legend or key on a map. The seed is the Gospel of the kingdom, in a word the seed is Jesus, the promised Seed. The soils are various conditions of the heart. First there is the seed that falls on the hard pavement. This is the hardness and stubbornness of unbelief. The Gospel is heard, but it bounces off the pavement like a hailstone in a mountain thunderstorm. This is the tragedy that occurs when people hear the word of forgiveness but don’t think they have any need for it. We’ve probably all met or known someone like that. It’s a refusal to be forgiven. This is why we need to come to church weekly, not to fulfill some kind of obligation to God, but to receive what he’s giving us: free forgiveness that cracks the hardness of our sinful hearts. Then there’s the seed that fell on rocky, shallow soil. This is the faith that mirrors its surroundings like a chameleon: a shallow faith based on feelings and emotions. And this is the largest growing religion in America, especially in Christianity. But faith based on feelings is faith without roots, a shallow faith unable to endure the heat of persecution, hardship, and testing. This is what happens when you use your heart as a barometer of God’s presence and the Spirit’s working. Instead, Jesus gives you a faith that is grounded outside of you: firmly rooted in Holy Baptism, planted in the Word, fed to you in the Holy Supper. These gifts of Jesus are objective and don’t change, no matter how you feel. Still, some seed fell among the weeds and thorns. The thorns are the cares and concerns of this world and the deceitfulness of riches. Anxieties about life, such as what will we eat, what will we wear. Houses, investments, portfolios, retirement. Just how weedy is your soil? Ask yourself: what is it that keeps me from receiving the Word and Supper every time they’re available? What prevents you from hearing and gathering around Christ’s gifts? What cares and concerns are choking you of the life given in God’s holy Word and Sacraments? Thank God for the weed killer of his word and the seed of the Gospel which replants, replenishes, and recreates his mercy for us. And then there’s the seed that falls upon good soil, soil that’s felt the plow blade. Broken and turned under soil. It yields a harvest – one hundred, sixty, thirty. The best and fruitful soil is plowed. Dead soil. Think about that. Soil is dead. The life and vitalities and energies are not in the soil but in the seed. Seeds are embryonic life. Soil is dead. It’s made out of dead stuff. And out of death the seed springs to life, grows, and bears fruit. 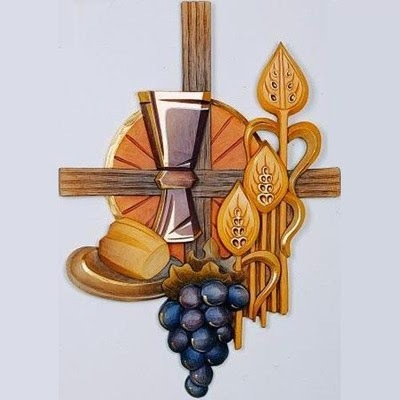 Jesus said, “Unless a grain of wheat falls into the earth and dies, it remains alone; but if it dies, it bears much fruit.” Jesus is that seed, his own flesh cast into the earth. Dead. Buried. But out of death springs life. Resurrection. For you and for the world. He’s done the same for you in Baptism. All sin in you is buried and dies and Jesus raises you to life. Jesus takes your hardened, rocky, weed-ridden heart; he plows it and then sows his own life, death and resurrection and makes you good soil. The only soil in which the seed of Gospel, that is Jesus, is productive is dead soil. Plowed under soil. Broken down soil. Soil that can say, “I no longer live, but Christ lives in me.” Our hearts must be broken. Our hands emptied. Our minds cleared before the Gospel of Jesus can bear fruit. Soil can’t plow itself. But wouldn’t that be great? Self-plowing soil. Gardening made easy. Of course, just ask any gardener you know what; it takes work: digging, turning, rototilling. Hard packed soil cannot turn itself into good soil. Rocks do not automatically clear themselves from a field. Weeds do not pluck themselves. Sinners, children of Adam and Adam’s sinful condition, cannot make themselves receptive to the saving Word of Jesus. They will not let Jesus in no matter how many times He knocks. We do not naturally and willingly repent. We must be driven to it. The rototiller of God’s law must plow us under. We need to be broken, turned six feet under, crushed if the Word of Jesus is going to be fruitful in us. “What will happen to that Word of Christ planted in you? Will it take root, abide, and bear fruit? Will it take root in a heart like yours, a heart that is always eager to do good…so long as it’s pleasant and profitable for you; a heart that is consistently rejecting temptations…so long as the temptations are to do things you don’t really enjoy anyway; a heart that loves others…so long as they are nice to you, compliment you, and do what you want. Will the seed of Christ, the seed of his grace and mercy, take root in a heart like yours, a heart that is as clean as a manure pile and fertile as a brick? Repent. For the truth is that there is no good soil in us. We think that compared to the hearts of the really big sinners, ours is a beautiful English garden. We think that the Sower chose to sow his seed in us because we’re such good and fertile soil. But that’s the lie we love to believe for it is a lie that makes us feel good about ourselves. Repent and hear the truth. The truth is that when the sower sowed his seed in you, it fell on rock-hard soil; and where there weren’t rocks there were weeds; and where there weren’t weeds there were birds of the air waiting to devour it. But the seed of God’s Word doesn’t look for good soil to fall into; it creates the soil for itself, no matter how rocky and weed-infested your heart may be. God doesn’t leave the plowed field to lie fallow. The sower sows the seed. Recklessly. All over the place. The word is preached whether men like it or like it not. Whether they listen or listen not. Whether they believe it or believe it not. The Divine Sower casts the word of Jesus into your heart and mind, the good news that in Jesus there is forgiveness, life, and salvation. That in Jesus you are rooted in his death and resurrection by Baptism. That in Jesus you are nourished and fed in with his body and blood. That in Jesus you are good soil of his own making. You are firmly planted in Christ who has firmly planted himself in you by his Word.